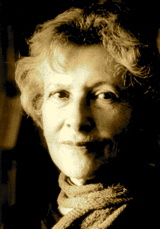 A Year of Being Here: Denise Levertov: "Variation on a Theme by Rilke"
"Variation on a Theme by Rilke" by Denise Levertov, from Breathing the Water. © New Directions Publishing, 1987. 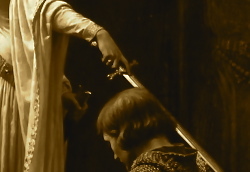 Photograph: Detail of "The Accolade," oil on canvas painting by Edmund Blair-Leighton (originally color).